The return of Doctor Who to our TV screens in 2005 gave rise once again to the vast possibilities of using time-travel as the central premise of a storyline. Jumping on the time-travel bandwagon, Jeanette Winterson has seized upon its potential with a spirited originality in her first children’s novel, a gripping and provocative fantasy-thriller. The central character, Silver, is an orphan forced to live with her selfish aunt Mrs Rockabye and her ferocious pet rabbits. Silver’s only comfort is the magical, sprawling house in which they live. When the mysterious Abel Darkwater arrives at Tanglewreck, seeking the legendary Timekeeper, Silver is dragged away from her beloved home and drawn into a sinister plot which sees her thrown through time and space, with the future of the universe on her shoulders. To give much more away would risk spoiling others’ delight in unravelling this juicy adventure story for themselves. Packed with colourful characters, and skillfully paced, Tanglewreck also throws up some weighty questions about the nature of existence. Rarely does one encounter a children’s novel which so succesfully combines pure entertainment with serious philosophical and scientific contemplation. A hugely satisfying and memorable read. The potency of storytelling, its ability to traverse terrain and to cross cultures blazes strong in ‘Christophe’s Story’, an impressive, deeply thought-provoking and moving short novel whose understanding and compassion bathes readers in hope and belief that regardless of who we might be, whatever our backgrounds or beliefs, all our tomorrows might one day be better and brighter. Removed from a landscape and populace that has been savaged by war, Christophe’s familiar homelands of Rwanda have been substituted for England. Starting at a new school, Christophe is taunted by one of his new class-mates Jeremy. These playground persecutions offer a glimpse at the dynamics of conflict that in the macrocosm of Rwanda led to Christophe’s family becoming embroiled in the programme of ethnic cleansing that was carried out there. Accidentally revealed his war-scarred body, Christophe comes to tell his class his story of war-torn Rwanda, the death of his brother Matthieu and the burning of his house. That his class are unaware there has been a war in Rwanda is an indictment of the narrowness of focus and the Anglo-centricity of the classroom. Karin Littlewood’s illustrations brilliantly capture the suffering and pain surrounding the war in Rwanda yet successfully sparkle with the innate pleasures and life of childhood. To document such large political ideas, such hatreds and injustice in so short a novel and yet to leave readers awed, heartened and feeling in a real sense more tolerant is an enviable achievement and one which this exceptional book achieves with a real zeal. The furthest fathoms and deepest depths of the lake at Moutonby are matched by the probing philosophical enquiries as to the roles belief is able to play within modern civilisation. Is all belief now made blind by technological advance and the possibility of scientific verification? The atmosphere of the novel crackles with a flaring, electrostatic energy that juxtaposes with the harsh unredeeming landscape of Moutonby. Favourable comparison to the celebrated works of Alan Garner is easily justified. Underpinning village life in Moutonby – a small bleak assemblage of habitations clustered along the banks of the lake – is a dark legend about a beast that lurks in the depths of the water, the Mourn. Modern times have seen the village divided between those who believe in the Mourn ‘ termed the Fearful, their lives being driven and dictated by custom and ritual as they endeavour to assuage the beast’s fury ‘ and those who reject the legend believing it a pseudo-feudal means via which the Milmullen family have been able to dominate the village through false fear and hysteria. Son and heir, Tim Milmullen, grows up alongside this and is expected to assume the role of the Mourner on his fast-approaching sixteenth birthday. This mantle is one his forefathers have held before him, making ritualistic sacrifices to the Mourn, securing the protection of the villagers through so doing. Tim is unsure as to his belief, a fact brought into rapid relief by his twin sister’s own fervently held beliefs. The questions surrounding the Mourn isolate Tim from his family and from the community who increasingly come to depend on him for their future. This is a dense, thoughtful and thought-provoking novel that demands careful reading providing ample reward through its sociological and implicit religious comment as well as its lithe determination to avoid the condemnation of any systems of belief or world views. From it’s bookshelf inspired end-papers to it’s card-catalogue dedication, every aspect of this picture book has been tailored to appeal to bibliophiles. With the high profile Love Libraries campaign now well under way the publication of ‘The Library’ is very timely. The book is a biographical account of book lover and philanthropist, Mary Elizabeth Brown (1920-1991) documenting the life long affinity she felt for books and for reading. Whether depicting the means through which books allow our imaginations to soar, manifested here by pigeons in flight, or the shelter and shade the interior world of books are able to provide, David Small’s illustrations brilliantly capture the highly personal dynamic opportunities for thought and reflection that books provide without diminishing its meaning. Framed pictures and the rapid encroachment of books outside the parameters of each frame emphasise the extent of Elizabeth’s collection enabling an understanding of how sizeable an endowment this was eventually to be for the town. Reading is a gift and libraries, offering access points to almost every book ever published, are in a unique position to keep on giving endlessly A powerful reminder as to the remarkable community and cultural resources libraries are. Personal voyages, the importance attributed to homelands that are able to be returned to and the strength of family ties bind and intersect this Spartan, yet delicately beautiful tale by Finnish author Riitta Jalonen, one of the latest continental offerings made available in the United Kingdom by WindedChariot Press. More a full-colour, highly illustrated novella than a traditional picture book, the opening sees mother and daughter on a journey . 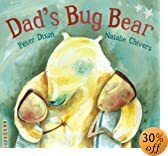 The daughter’s enthusiasm and interest in words and in naming things provides insight into an imaginative world that that the narrative and pictures here present only a glimpse of and that readers’ imagination brings to the fore. The couple’s journey aims to take Tundra Mouse, a flowering plant more commonly called ‘Alpine mouse-ear’ that mother collected years previously, back to the Arctic. The voyage is built up of a series of moments each one vivid in the way it sensuality, making this a memorable voyage and books. The pair pass amongst Lapland birches, pinic by the river Teno, cllect waters from the oceans and stones from the beach. A real sense of holisticity between man and environment is presented. The prospect of big brother Ben going away on school camp for a week is one that brings a smile to Ben’s face as Sam remembers the means Ben employs to tease and taunt, boss and belittle him as only a big brother knows best! Sam looks forward to the respite that time spent on his own will provide. The reality of Ben’s absence, however, makes Sam appreciate the fun and the frolics, the games and the guffaws the pair have shared together. To alleviate Sam’s pinings, his mother suggests he writes a postcard articulating his feelings to his brother. Sam eagerly anticipates the return of his brother and on his homecoming, Ben whispers to him how he missed him too. 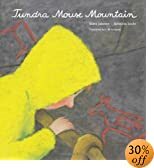 Contrary to the misguided notion that boys are all rough and rigour, with two brothers at its heart, this book legitimises male emotion and indeed the importance of communicating these. When Frank the goldfish dies, dad shows an almost sardonic lack of restraint in his response; ‘Never mind, son’. Mum is more considerate towards the loss suggesting a special cheer-up treat thereby setting in motion a trip to the zoo ‘ a trip that is accompanied by a tirade on camels, elephants, giraffes, seals, penguins and rhinos by dad! The visit to the zoo, however, is forestalled as two African elephants have pushed down the walls meaning all the animals have escaped. Concerned for the welfare of his home, dad drives the family home to find a delivery of domed dung deposited upon the doorstep. Whilst our hero takes a bath, a tremendous paw crashes through the bathroom ceiling. Dad rises to the occasion, tapping it with the toilet brush. Endeavouring to remove the bear from the roof, the gutter, the bear, the ladder and dad all tumble. Fortunately nothing makes for a softer landing than the arms of the bear. Dad’s opinion of animals is altered slightly as he comes to appreciate the bear but readers are left to anticipate what happens next as they lift the flap to gain access to just what is concealed within the family refrigerator! The divide between childlike rapture with animals as shared inhabitants of the world and adult disillusionment and focus on responsibility creates the tension that drives this story and which is depicted here by Natalie Chivers’ engaging collaged illustrations which perfectly compliment to the text. Readers are made privy to a series of discursive vignettes that constitute the life of Justin. This is achieved in an assured and lively manner. The imagination and eccentricity of Justin make him an immensely agreeable if not at times a worryingly breakable individual whose fears, feelings and frighteningly fatalistic outlook on life isolate him from the society that orbits around him. Justin’s personality is one of extremes, the love he harbours for Agnes who becomes ensnared by Justin’s vitality and his web-like neediness, fast becomes all-consuming leaving him incomplete amidst a mire of uncertainty. The gradual corrosion of the influences of logic, reason and rationale in lesser hands could become dirge-like and dull, that the prose here is iridescent, teeming with differing philosophies of perspective and perspective, makes for a strikingly life-affirming read that is not easily forgotten. A multitude of threads taking the form of action photographs, illustrations of manifold monsters and extracts from the Monstranomicon, interweave to make the fabric of this fable. Minerva McFearless, the eleven-year-old daughter of a monsterminator, narrates the adventure. Her relationship with brother Max, who plays an integral role in the action and adventure of this novel, is fraught with sibling rivalry a shard of realism that helps allow the suspension of disbelief and that secures the riotous pace in thisnarrative. On seeing a red moth, the intrepid McFearless duo discover a secret passageway in their house, leading them to their father’s study and to the revelation that he is in fact a monsterminator, one who exorcises monsters of all sizes, types, and veracity. It is in the study that the pair first encounter, the Monstranomicon, a living book, a bestiary of sorts with the added bonus of detailing recipes and methodologies for the slaying or repelling of creatures. Following the kidnapping of their father, Max and Minerva set upon a quest to release him. The book has a cinematic quality and photographs are reminiscent of early silent films, richly resplendent in exaggerated facial expressions and extreme emotions! The graphic nature of the book, together with short chapters, punctuated throughout by excerpts from the Monstranomicon make this an excellent choice for those who are perhaps less confident readers. The claim of pedestrainism in the language that could be levied against Zappa’s book is an observation made neither entirely with or without criticism. It is this that facilitates the novel’s pick-me-up-and-read-me appeal, but lends it at times a non-distinct feel. The strong cliff-hanger ending leaves one with a monster appetite, wanting to know what happens next, with a sequel forthcoming it is hoped this might soon be sated! Martin, his mother and father are holidaying on Santa Clara an island whose intrinsic beauty and resources have been exploited and where political insurgence is now rife following the development of nickel mining that ravages the country’s natural resources and its people. In a desperate and dramatic attempt to highlight the plight of the islanders, El Taino, Rafael and Eduardo capture Martin and his family together with French tourist,s Louise and her family, intending to make a plea for a national enquiry to be made into the nickel mine that brings the scourge upon their country. The story is complex and web-like, whilst it is told primarily from the dual viewpoints of Martin’s father’s diary entries and Martin’s own account of the shocking, unnecessary and surprising death of Louise, there is more than a passing empathy with the plight of the islanders who make this desperate bid to remove the blight that has been forced upon their land. Judgement is never easily arrived at in this novel and it is difficult not to feel pulled in two quite distinct directions. Far from being a criticism, this is one of the great accomplishments of the book, that in failing to impose a resolute judgement as to where moral rectitude truly lies it coaxes the conscience to consider the standpoints of all.